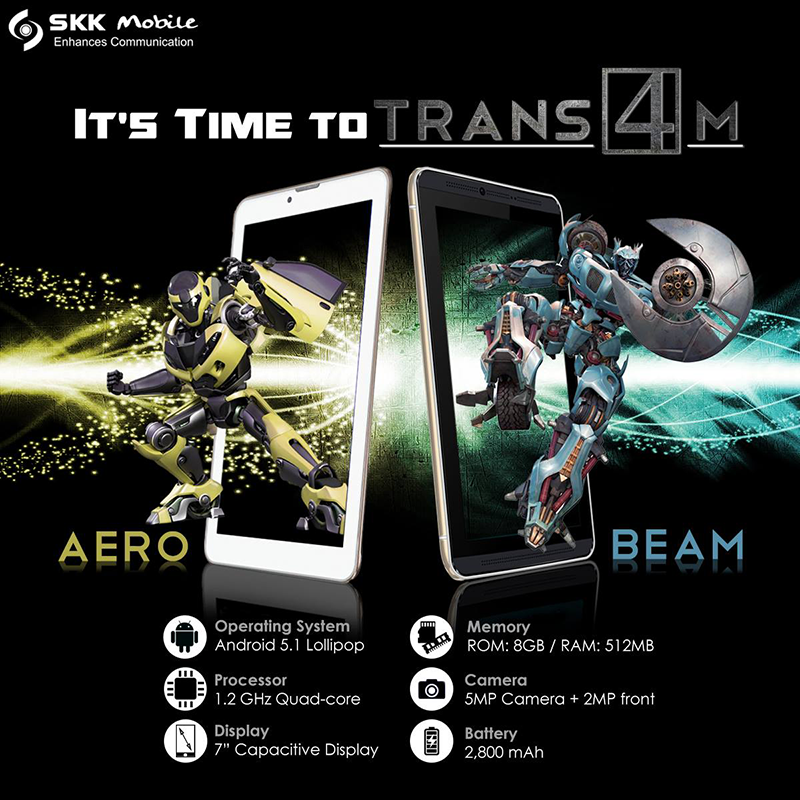 Moments ago, SKK Mobile announced on their FB Page that they have a new tablet series called the "Trans4m" line. That line-up includes the Trans4m Aero and Trans4m beam tablets that boast exactly the same specs that only differs in design. Both tablets features 7 inch capacitive screens, 1.2 GHz quad core processor, 512 MB RAM, 8 GB expandable ROM and 2,800 mAh of battery capacity. You'll also get a 5 MP back camera and 2 MP front facing camera which runs on Android 5.1 Lollipop operating system. However, the rest of the other important details such as the exact configurations, type f processor used, other special features and pricing and availability isn't posted yet. Hopefully, they'll price this one correctly for the specs. We'll find out soon once we have SKK's word already. We'll keep posted.